Millions of people lose their teeth to gum disease, injury, and tooth decay. Losing one or more teeth can have serious effects on your self-confidence and your ability to chew and speak properly. For many years, your only replacement options were removable dentures and fixed bridges. Fortunately, today’s dental implants provide a superior way to get your smile back without compromising appearance or function. Almost anyone can be a candidate for affordable dental implants. Are you next? A dental implant is an artificial replacement for the root of your missing natural tooth. Surgically placed into your jawbone, the implant serves as an anchor for a natural-looking crown. Affordable dental implants are made from bio-inert titanium, which minimizes the risk of rejection and provides a strong foundation for the crown. Implants are easy to maintain. 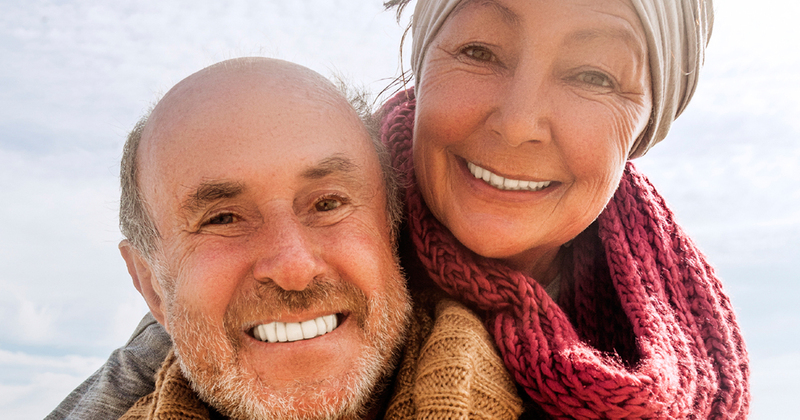 You can say goodbye to dentures and denture adhesive forever. You’ll have custom-made, natural-looking, functional teeth. You won’t have any more gaps left by missing teeth. The implant procedure is simple, and you’ll recover quickly. Implants will last for decades. You can get the dental implants Northern Virginia smiles deserve by choosing a qualified prosthodontist and scheduling a consultation. Your prosthodontist will examine your x-rays, explain all of your options, and answer any questions you may have. When you’re ready to get your beautiful, affordable dental implants placed, you can request a treatment start date and prepare to face the world with a new smile. To get the dental care you deserve from an affordable dentist in Northern Virginia, call Northern Virginia Oral & Maxillofacial Surgery Associates today or make an appointment. Northern Virginia Oral & Maxillofacial Surgery Associates offers affordable family dentistry and gentle, compassionate dental care in Northern Virginia. Our offices are conveniently located with extended hours to meet your needs. At Northern Virginia Oral & Maxillofacial Surgery Associates, we provide most dental services, from basic preventative care and general dentistry to specialized procedures and complete dental reconstruction. We accept most dental insurance plans and offer affordable financial solutions for any budget. Patient satisfaction is our top priority and we strive to provide the exceptional, affordable dental care and personal touch that lead to lasting relationships. A smiling patient is our greatest reward and we look forward to keeping those smiles healthy, beautiful, and bright. Discover an affordable dentist who truly cares at Northern Virginia Oral & Maxillofacial Surgery Associates.